Little is known of his early life. Martin was born about 520 in Pannonia (today: Hungary, Croatia, Serbia). As a young man he made a pilgrimage to the Holy Land, where he became a monk. While living in Palestine, he met pilgrims from Spain who spoke to him about the need to convert pagans and Arians in their lands. With the encouragement of the pilgrims he traveled to Spain at about 550. He arrived in Galicia in the northwestern part of of the Iberian peninsula to convert the Suevi, a Germanic tribe that earlier had migrated into Spain. Many in the tribe were still pagans and others had accepted Arianism. In pursuing his preaching, Martin established a number of monasteries, notably the Monastery of Dumium near Braga. Soon after, Martin became the first bishop of the see of Dumium. At the first council of Braga in 561, Martin was third in rank among the hierarchs. In 672, he directed, as the Bishop of Braga, the proceedings of the second council of Braga. Later he became Metropolitan of Galicia. Martin was noted as an able administrator and a skilled writer. Gregory of Tours said of him that “he was second to none among the learned men of his time.” He knew Greek, a rare ability in the West of the sixth century. He translated the Sayings of the Desert Fathers and a collection of Eastern canons, including canons on idolatry and superstition, into Latin. He was forceful in his pastoral duties leading to the conversions of the Suevi. He warned against the practice of idolatry, of the dangers of murder and fornication, and emphasized the future resurrection of the dead, and that each person would have to account for ones self to God after death. "The blessed Martin, bishop of Galicia, died at this time and was greatly lamented by his people. He was a native of Pannonia, but he left that region to travel in the East and to visit the holy places. He read so widely that he was held second to none among his contemporaries. Later he journeyed to Galicia, where he was ordained bishop, when relics of the blessed Martin [of Tours] were being brought there. He ruled his bishopric for about thirty years and died full of virtue. It was he who composed the verses over the southern portal of the Church of Saint Martin." 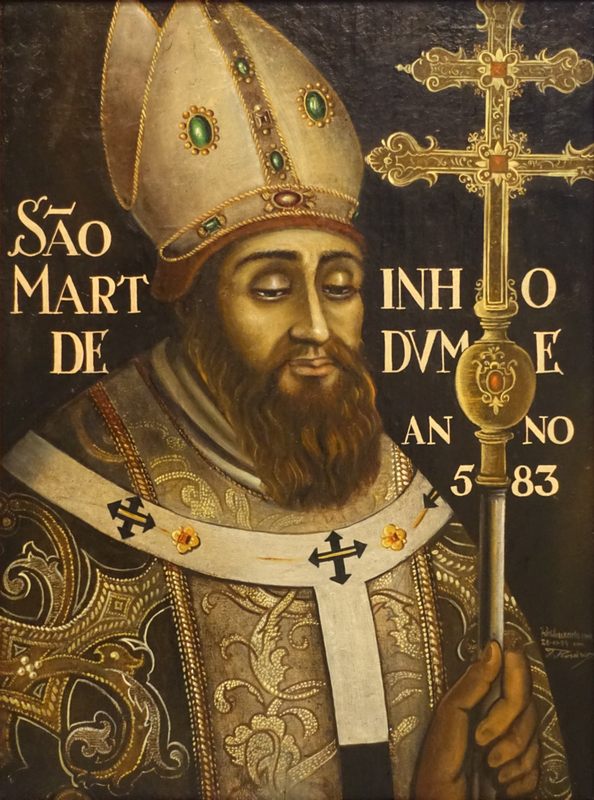 Saint Martin of Braga died in 580 at the Monastery of Dumium. 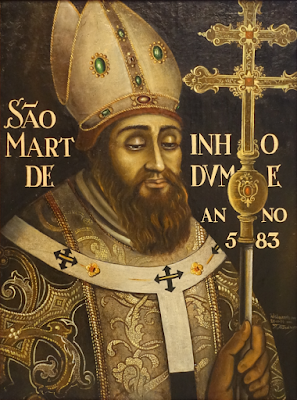 In 1606, his relics were translated to the Church of Saint Martin of Braga in Braga of Portugal.